Legal terminology often confuses people. At Vincent Solicitors we strive to make law accessible to everyone. Below you will find a brief definition of commonly used legal terms. Auction – The sale of a property to the highest bidder by an Auction House, at a publicly held event. Details of property and opportunity for inspection are available prior to auction date. When bid is accepted a deposit is paid and contracts are exchanged, creating a legal obligation to complete the transaction. Bankruptcy Search – A search made, usually with HMLR, to check whether a person (buyer/borrower/donor) has been, is, or is about to be declared bankrupt. Boundaries – The boundaries define the extent of a property and are usually marked out by fencing/wall or hedging. Boundaries are also generally shown on the deeds plans. The owner of a property usually has the responsibility to maintain the fence/wall or hedging on the boundary that belongs to him. Building Insurance – Insurance taken out by the owner of the property to insure the property against risks such as fire, flood, subsidence or other damage. Lenders insist on adequate insurance on the property to protect their interest. Buyer has to insure property from exchange of contracts. Buy To Let – When property is purchased not for own use, but with the intention of letting it. If mortgage is required, lenders need to be informed and usually specific Buy to Let mortgages are sanctioned. Caveat Emptor – This is a Latin phrase Latin for “let the buyer beware”. This means that the buyer buys at his/her own risk and is expected to make his own enquiries (in a property transaction his conveyancer/solicitor does this) to be satisfied of the property or goods that he is buying. Chain – This is a property transaction that involves different buyers and sellers and one transaction depends on another. The chain usually starts with a first time buyer or a buyer with nothing to sell and ends with a seller who is buying a brand new property or who is not buying another property. All transactions in a chain have to move at the same pace and exchanges and completions are done by all parties on the same day. Client Care Letter – This is the letter that a solicitor/practitioner sends to his client setting out the terms of engagement. The letter must give clear details of what work will be carried out, who will be doing it, at what cost, who is responsible for supervision and the complaints procedure of the firm. Usually the client has to sign and return one copy and work can only commence after the client confirms in writing that they wish the firm to act for them. Completion Date – This is the date when the purchase of a property becomes final and the Purchase Price is paid to the seller and the property is handed over to the buyer. All rights and responsibilities of the seller in respect of the property ends after receipt of full purchase price, unless there is a specific agreement to the contrary and the buyer is responsible for all matters relating to the property from this date. Completion Statement – This is the final account that provides the financial details of the transaction including the legal fees plus the VAT and all related expenses. This is usually sent before completion. Conditions of Sale – The conditions of the sale are the terms under which property is sold and purchased and are incorporated in the contract of sale. 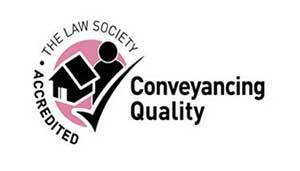 There are standard Law Society conditions to which the conveyancer adds any Special Conditions required by parties. Conservation Area – This is a geographical area protected by the Local Authority in order to preserve the particular characteristics of the area. Properties in such areas may be subject to planning restrictions especially regarding the exterior of the property. Contract – This is the legal document that confirms the sale/purchase of the property. Normally the seller’s solicitor/conveyancer prepares the contract and sends to the buyer’s conveyancer. Once the terms are approved by both conveyancers the seller and the buyer each sign their own copy and are exchanged to legally bind the parties. Conveyance – This is the old fashioned name for the document that transfers ownership of a property. This terms is now rarely used and the document is now called Transfer Deed or TR1. Conveyancing/ Conveyancer – Conveyancing is the legal description for the work that is done to transfer ownership of a property from one person to another. Conveyancer is the job description of the person doing the legal work. Registered conveyancers or solicitors normally act for clients on property transactions. Covenants/Restrictive Covenants – These are obligations/restrictions that are attached to the property and is contained in the Office Copy Register or documents relating to ownership and transfer of the property. Restrictions could be, among others, about use and maintenance of the property and boundaries or future development of it. Deeds/Title Deeds – These are the legal documents that contain information about the Property, particularly boundaries, ownership, terms of transfer or lease etc. Defective Title Insurance – A defective title means that there is a problem with the title deeds of the property. They may be missing, or inadequate or the title may not be clear. This prevents the buyer from knowing all the details about the property. Therefore, a buyer will not usually buy a property with a defective title unless the seller provides an insurance policy to protect the buyer and his lender against any possible financial loss resulting from the defective title. Deposit – Deposit is the money that is paid by the buyer to the seller at the time of exchange of contract to legally secure the transaction. Normally this is 10% of the purchase price but parties may agree to a lesser amount. However, if the transaction fail due to fault of buyer, full 10% of the purchase price is forfeited. There may be another form of deposit called goodwill deposit which the seller demands from the buyer to secure the transaction until the conveyancers are ready to exchange contract. If paid, this is then set off against the deposit at the time of exchange of contract. Disbursements – These are the expenses that the conveyancer pays to other persons on your behalf. Typically these are VAT, Stamp Duty, Land Registry Fees, fees for searches, indemnity insurance premium, bank charges etc. Drainage & Water Search – This is a search carried out by the conveyancer for the purchaser to check whether the property has proper arrangements for water supply, drainage and sewage disposal and whether any water and drainage assets lie within the boundaries of the property. Easement – Easements are rights given to the Property Owner over adjoining property or land, usually as right of way or access, right of drainage or water supply. By law the Seller must disclose easements that could not be easily found out (latent easements). Environmental Search – This is a search meant to check whether there are any environmental issues affecting a property, like flooding, mining, land fill, radon gas, air pollution etc. Equity – The equity in a property is the value that is left after all financial charges on the property are redeemed. If the property has more debts than its current value, it is called negative equity. Exchange of Contracts – This is process by which the seller and buyer legally bind themselves to the transaction. The respective conveyancers confirm the details of the contract on phone and then physically exchange the contracts signed by the buyer and seller. If there is a chain the conveyancers for every party in the whole chain “exchanges contracts” on the same day. Financial Advisor – The Financial Advisor, commonly also known as ‘mortgage broker’ is the person who assists a buyer with obtaining funds for the purchase, usually in the form of a mortgage on the property. He/She will often also arrange any life insurance, mortgage protection insurance etc. Fixtures and Fittings List – This list details the items in the property that are either included in or excluded from the sale. This is completed by the Seller and agreed by the buyer and a copy is attached to the Contract and is legally binding. Freehold – This is the legal term to describe outright ownership of the property/land subject only to any mortgages, charges, easements, covenants etc. shown by the deeds. The owner is responsible for all matters relating to the property. Gazumping – This is where the Seller, although agreed a sale with one buyer, sells it to another buyer for a higher price. This can only happen before exchange of contracts. Ground Rent – This is the rent paid to the Landlord usually on a Leasehold property with a long lease. The ground rent is normally stipulated in the Lease. Professional Indemnity Insurance – This is insurance to cover any defective work by a professional. 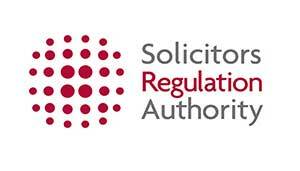 The Law Society and the CLC (see above) insist that all Solicitors and Licensed Conveyancer firms must take out insurance to the value of £1,000,000 or more to cover defective work or fraud by that firm of its client (s). Inland Revenue (HMRC) – This is the government department that collects tax on behalf of the government. The Inland Revenue stipulates that for every property purchase a Stamp Duty Land Transaction Form must be completed and submitted to Inland Revenue along with any Stamp Duty payable within 30 days of completion. Instructions – This is the authorisation by the client to the solicitor/conveyancer to act for the client and as per his/her wishes. Firstly, the client must give the conveyancer written instructions to act on his behalf in a property transaction. Thereafter, the conveyancer will seek instructions from client as required to progress matter, for instance the date of exchange or completion or any specific requirement. Joint Tenants – Where two or more persons buy a property they are called joint tenants or tenants in common. Where property is held as joint tenants if one owner dies the property passes to the other owner automatically without a Will. If the property is held as Tenants in Common each buyer owns their own share of the property and in case of death of one his share goes to his legal heirs or as per his will. Land Registry (HMLR) – The Land Registry is a government department that holds the records of all property in the United Kingdom. Most property is now registered at the Land Registry. The conveyancer checks with land registry records regarding matters affecting the property and to get up to date copies of the Land Registry entries that relate to the property. After completion, The conveyancer registers the title of the purchaser and the charge of the lender with the Land Registry. 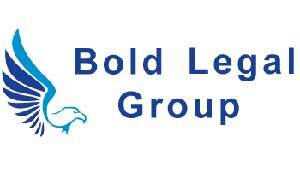 Landlord – A Landlord is the owner of the freehold of a leasehold property. Ground Rent on a leasehold property is paid to the Landlord who has the right to enforce the terms in the Lease. Landlord often engages a managing agent to maintain and manage the property for which a service charge is payable by the lessee. Lease – A lease is a legal document executed between a landlord and a Tenant (Lessee) which details the terms and conditions of the lease and the matters affecting a leasehold property. Generally these will include the length of the lease, rent, service charges, rights of way, water, drainage and access and it will usually incorporate a plan. Leasehold – A Leasehold property is one where the owner does not own the property or land outright. His ownership is of the right to occupy and use the property for a specific period of time under the conditions stipulated in the Lease. Usually there is a rent or a ground rent and service charges to pay to the Landlord. Legal Executive – A qualified and trained legal professional who is governed by the Law Society and generally specialise in a particular area of law. Licensed Conveyancer – a qualified legal professional who acts in property transactions and holds a license granted by the CLC (see above). Listed Buildings – Listed Buildings are those specified by the Local Authority as requiring special protection because of their character, structure, history or location. Listed properties are subject to planning restrictions. Local Search – This is a search made by the conveyancer to ascertain the status of a property with the Local Authority including any local development, planning or building control issues, roads and other matters that can affect a property. Local Search Indemnity Insurance – This insurance is used on remortgages where there is no need to carry out a full local authority search and protects the Lender from financial loss. It is sometimes used on a purchase where there is insufficient time to make a full Local Search or the purchaser has a nearby property and/or is fully aware of the details of the property. Management Company – The agency that manages a leasehold property on behalf of the landlord and deal with the day to day running of the property and repairs and renewals. If the ownership of the property is shared by a number of leaseholders, usually a management company is set up by the leaseholders. The management company collect a service charge from the property owners to pay for their services and for the upkeep and maintenance of the building. Mortgage – A loan provided against the security of a property. Mortgage Deed – This is the document the borrower signs to agree to the terms set out in the Mortgage Offer and confirms the borrowers acceptance of the lender’s rights over the property. This document is sent to the Land Registry to register the Mortgage as a Financial Charge on the property which is noted in the Charges Register of the title. Mortgage Offer – A written offer by the lender to lend money on the security of a property. The Mortgage Offer will contain all the terms of the Loan and the conditions upon which the money is loaned including rate of interest, term of loan, and special conditions, if any. Mortgage Valuation Fee – The fee paid by the borrower to the Lender to determine the value of the property for mortgage purposes. New Build – This is a newly built property being purchased for the first time from the Builder or Developer. Off Plan – Where a property is being bought at the planning stage and is yet to be built. Properties within large proposed developments are purchased in this way. Overriding Interests – Overriding interests are interests to which a registered title is subject, even though they do not appear in the register. They are binding both on the registered proprietor and on a person who acquires an interest in the property. Such interests include short-term leases, the rights of people in actual occupation, public rights of way, etc and may or many not be known to the owner or occupier. Preliminary or Pre Contract Enquiries – These are questions sent by the buyer’s conveyancer to the seller’s conveyancer relating to the property, especially relating to boundaries, easements, persons living at the property etc. in order to ascertain the true status of the property prior to exchange of contracts. Property Information Form – This is a form that is completed by the seller giving details about the property on which a buyer is entitled to rely. The form is legally binding on the seller. Redeeming the Mortgage – When a borrower pays back the mortgage on the property, it is called redeeming the mortgage. Redemption Fee – This is a charge that a lender charges a borrower when the mortgage is paid earlier than the stipulated period. This fee can be substantial if the mortgage is redeemed in the early years. The mortgage offer normally states the redemption fee payable in various scenarios. Redemption Statement – This is a statement provided by the lender showing what is the amount owing on a mortgage on a particular date. Searches – This is the generic term used for the various investigations carried out by a conveyancer on a property or people related to a property transaction to ascertain the true status of the property and the people involved. Searches will assist the conveyance to advise the client whether it is appropriate to buy the property at its current state and price or whether it is safe to purchase or accept a gift or loan from a particular individual. Some of the common searches for a property transaction are: Bankruptcy Search , Chancel Search, Commons Registration Search, Company Search, Drainage & Water Search, Energy and Infrastructure Search, Environmental Search, Flood Search, HM Land Registry Search, HM Land Charges Search, Index Map Search, Local Search, Mining Search, Radon search, Subsidence search. Shared Ownership Property – This is where a property has been bought jointly with the Council or a Housing Association and the buyer only acquires ownership of a certain percentage of the property. Stamp Duty – This is the tax payable on the purchase of a property. This is normally a percentage of the value of the property on a graded scale. For current Stamp Duty tariffs please contact us or check the Inland Revenue web site. Stamp Duty Exempt – The Government has exempted some types of purchase or transfer of land from Stamp Duty tax, usually in certain designated areas or for designated purpose. Your conveyancer will be able to tell you whether your transaction is exempt. Stamp Duty Land Tax Form – This is the form which provides information to assess the stamp duty tax. Normally the conveyance completes this on line and submits to HMRC who issue a receipt. An SDLT receipt is necessary for registration of the transfer of a property. Subject to Contract – All negotiations and correspondence relating to the property before Exchange of Contracts are made subject to contract, which means they are not binding unless contracts are exchanged. Surveyor – The persons who survey the property either for determining its value or for ascertaining status and need for repairs or other works. They will usually be members of the Royal Institute of Chartered Surveyors (RICS). Survey – A physical inspection of the property by the surveyor to check the physical condition of the property and to advise the buyer upon the value of the property. A survey is different from a Mortgage Valuation (see above). Will – This is the legal document by which you stipulate how your property and other assets are to be dealt with after your death. This may also contain your wish regarding your own funeral arrangements or matters relating to you.